We are now an authorized distributor for the highest quality manure pumps on the market built by Smart Turner Pumps. Smart Turner manure pumps are built out of the finest components, all sourced and assembled in North America, out of North American materials. These pumps are used by custom dragline applicators, tankers, and municipal sewage operations as well as industrial applications in the oil sands and coal mines. Smart Turner pumps are built to last for years under heavy usage. Give us a chance to show you why these pumps are better! The 623 and 823 models are each available in either a standard ductile iron, or in a bulletproof duplex stainless steel. The standard ductile iron model is designed for solids handling of corrosive and abrasive materials. A step above the standard ductile iron model, is the bulletproof model made out of duplex stainless steel. Duplex stainless steel has been used to pump oil sands but has proven to surpass all current expectations of manure pumps, especially dairy manure. They are designed to handle sand which makes them ideal for dairy manure, which is the leading cause of pump failure for all pumps currently used for dairy applications. The Endura Seal is a Rebuild-able Cartridge Seal that is rated for over 400 psi. On every Smart Turner Pump there is a Anti-freeze reservoir that lubricates the seal to keep the seal at the optimal temperature which increases the overall seal life. The Endura Seal installs with four bolts, eliminating the complicated process of installation like the competitors seal. 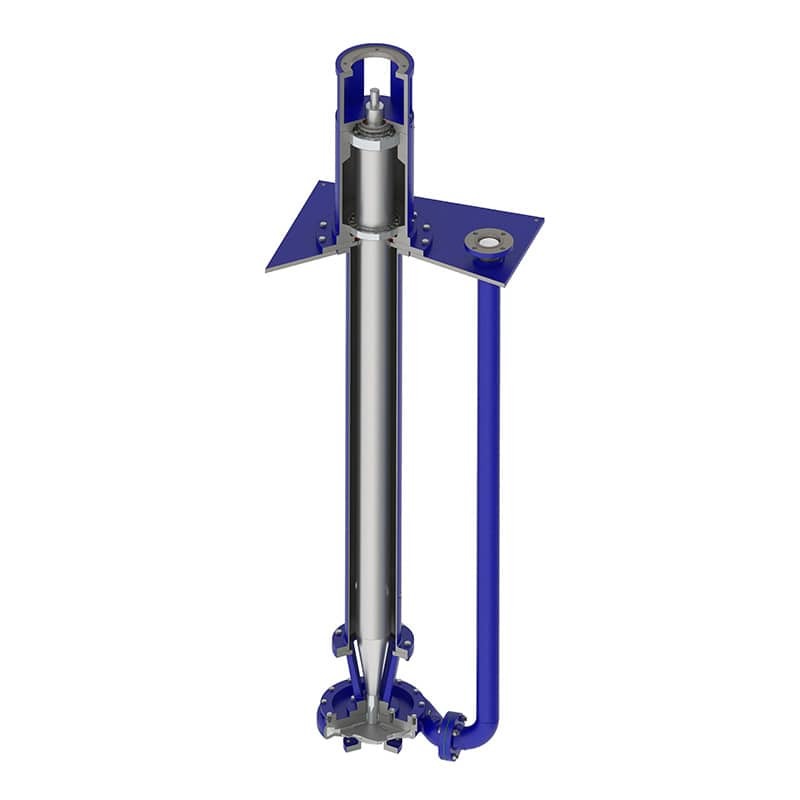 Smart Turner’s 623 Ductile Pump: The 2.75″ shaft along with the strong gusseting on the stuffing box allows all of the wet ends inside the pump to remain flat, minimizing wear and gaining efficiency. Please contact us for a quote or to answer any questions you have. We have years of experience in the custom manure application industry as well as first-hand experience with our product line. We will have pumps and parts in our inventory at all times to ensure that you will be taken care of in the event of a break down. Our goal is to offer you the best customer service, support, and pricing.